This three part series, sponsored by Furman's Riley Institute and the University's Osher Lifelong Learning Center, examined what matters most in early childhood development and what interventions and supports are in place here in South Carolina. The series looked at the ways in which educational institutions, parents, students, non-profits, and members of the community work together to build up our schools and prepare young people to be successful adults who are contributing members of society. Programs illustrated the challenges and opportunities for South Carolina as we look at the future of our increasingly diverse society. In today's last program in the series, Reframing Higher Education for a Changing Society, the address is given by Dr. Michael Usdan, President Emeritus and Senior Fellow, Institute for Educational Leadership. Click Here to Listen... 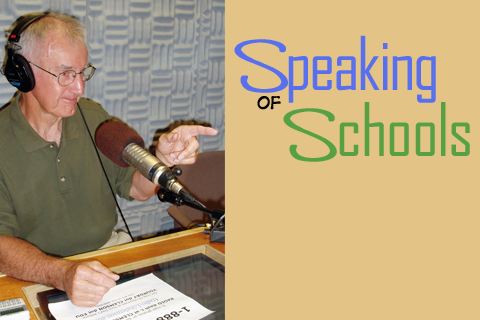 Speaking of Schools is a production of the South Carolina Department of Education in partnership with South Carolina Public Radio.